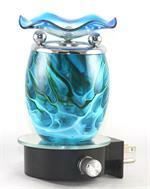 Wholesale electric oil burners. 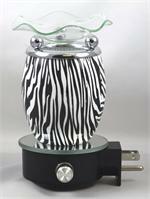 Units plug directly into the wall outlet, no wires. Knob on the side is the dimmer switch that turns the lamp on and off. 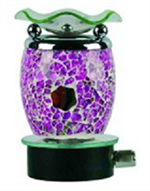 Oil burners can be used as a night light or a fragrance lamp. 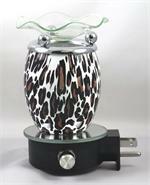 Plug in Electric Oil Warmer and Night Light Combo.